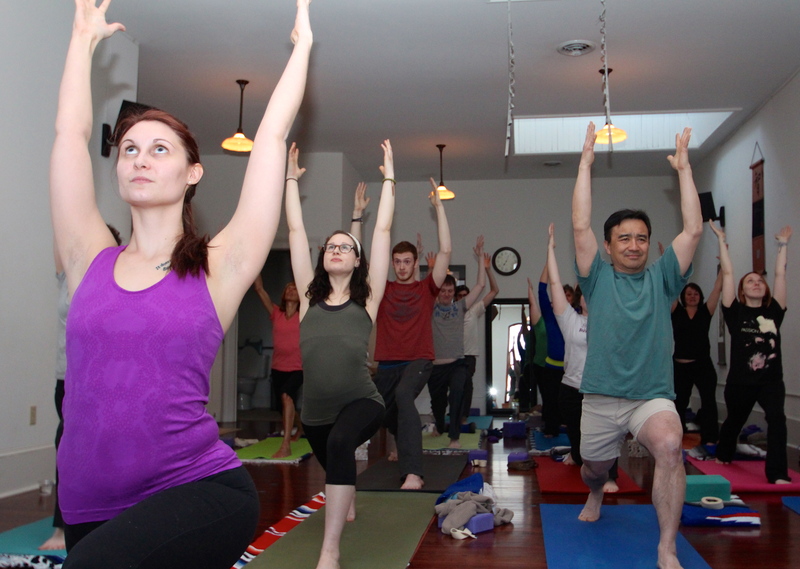 In the month of April I run a “Yoga Challenge” at my studio, Main Street Yoga. It’s a “30 Days for $30” yoga extravaganza. I run 3 classes a day Monday through Thursday, and 2 classes a day Friday, Saturday and Sunday. 70 people are signed up this year and it’s intense, let me tell you. The energy in that room is something I have to surf or get swamped. I also have people who are committed to a daily yoga practice for the month of April who are doing this “virtually,” meaning that they practice on their own and then check in at a website I set up at www.virtualyogarians.com. I post there every day in April, and so do a lot of other people. (I have set it up as a “multi-user” blog.) So, if you want to read about what’s going on with me and the challenge, or if you want to join as a “virtual” head on over there. Otherwise, I’ll see you back here in May. 2013 Yoga Challenge, Day 1. Hey look!! It’s real live proof of Day 1 of the yoga challenge & an amazing blog you should all follow.